Holly & Jamie Cochrane's wedding, which I was lucky to be a part of and able to design their paper products, is now featured on the Style Me Pretty blog and the first set of amazing photos by Lily Glass Photography shows some of the extra pieces I did in addition to the wedding invitations. Please check out these fabulous photos by a wonderful photographer of a fantastically fun wedding of two very special friends. 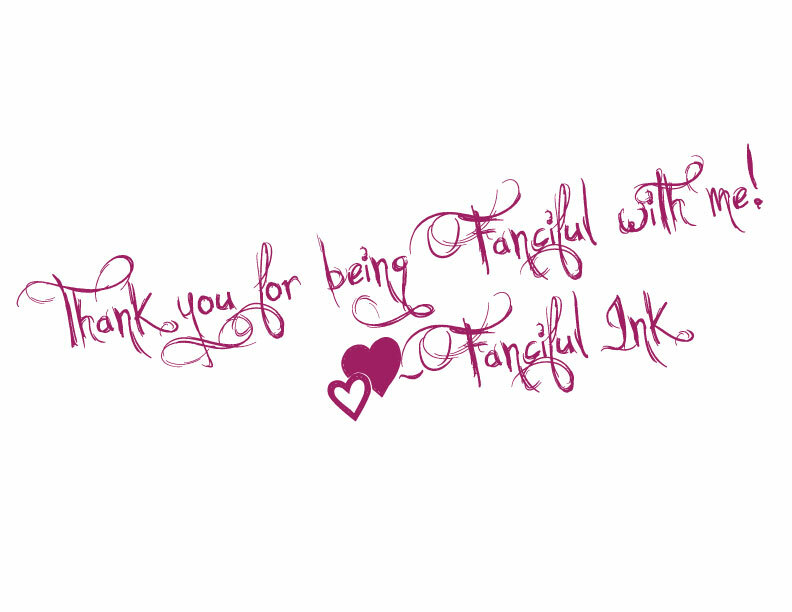 Just a mere 6 months or so ago, I decided to take a step in my own direction and begin to create my business, Fanciful Ink. I talked about it for a while, researched for a bit and now finally I am official! After creating invitations and stationary for friends and family (and still am), I am hoping to venture into a broader territory with people I actually don't know! So a little update: first, to backtrack a little, I have a lot of invitations and goodies to post on here that I have done this past year. So I will start to showcase those soon. My next step? I have created a profile for Etsy and hope to have some pre-made stationary for sale very soon! I am also working on a few little projects right now that will be future posts. I also will be updating my website soon with current designs, it is long overdue! I just want to say thank you for taking part in my endeavor and I hope that you will continue to be a loyal reader as I continue to blog more often and grow my little business. 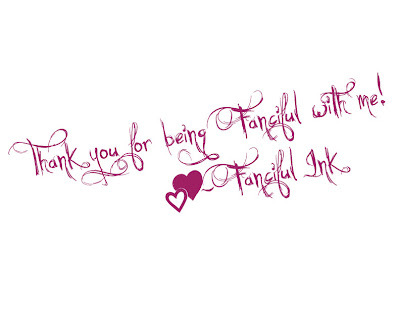 I appreciate the time you spend reading this and I hope that this week, since this is a milestone post and all, that you will tell at least two people about the blog and "Like" Fanciful Ink on Facebook! Gallery walls create an eclectic look for displaying artwork and photographs. I received a letter from my apartment complex saying that roof replacement was happening yesterday. It's a bit of a mess around there...and needless to say, I had to quickly take down things on the wall yesterday when I realized they would most likely be banged off onto the floor. That would result in a bigger mess than necessary and an even more distraught kitty cat (she hates thunderstorms so I'm pretty sure she's really hating the overhead roof shenanigans). I managed to take everything down in my bedroom and living room quickly and then walked into my guest room/office and walked back out. You see, the largest wall in my apartment is in that room and I created a gallery wall on it. I never accounted for the fact that roofers would come and I would have to take it down. I scanned the wall, realized not much would really break if it did fall due to most pieces not having glass...and I chose my grandmother's needlepoints to take down because I cared if those broke. The rest was left hanging. Hopefully when I go home today it will still be hanging. I love gallery walls, it is such a great way to hang lots of prized artwork and various items and make it look cohesive. Here are some great examples and a tip that I wish I had known before I created my gallery wall! Even small spaces like a bathroom can be filled with frames, as long as they are small. 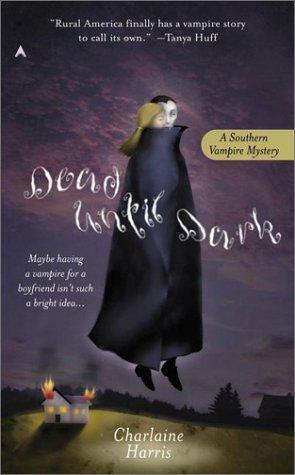 I love all of the silhouettes of this one. Lighter frames are more dramatic on a darker wall. Don't over think the issue of matching frames either! Just fit them together like a puzzle. Gallery walls are even cuter for a baby's nursery with family mementos, or like this one, featuring the alphabet and making the focal point the baby's initial. I like the simplicity of creating a line between the two areas of frames. This makes placement easier I would imagine! The instructions: Lay out your arrangement on the floor, then flip the frames. Mark the nail spot on several pieces of wax paper taped together, flip, tape to the wall then nail where the marks indicate. Remove the wax paper and hang your photos in order. From Roost by Marissa Waddell. 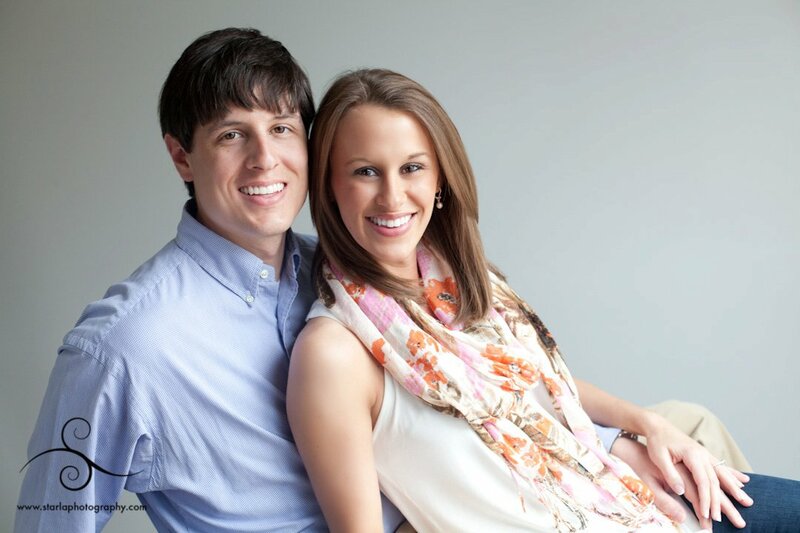 In 2004, when I was a freshman at Union University, I met a wonderful friend in Morgan Neese. We went through recruitment together, and I had seen her before though had never met her since we were cheerleaders at rivaling high schools. It wasn't until we opened our cards on Bid Day and began the run to the Chi Omega house that I really got to know Morgan. Sorority sisters and great friends, I am grateful to have met her and spent so many fun moments with her in college. Once you get in the "real world" it is harder to keep up with friends that were so dear for a long time, but I have been able to keep in touch with Morgan and know that she will be a lifelong friend. I'm lucky to have gotten to work with her on wedding invitations because I love the aesthetic of her wedding, very elegant, rustic and vintage. Her soft colors of grey, pale pink and cream are so beautiful. I can't wait to see how the wedding turns out (future post!). I think an invitation is an important precursor to the wedding and reception because that is the first "look" of the wedding that guests will see. The days of elegant white invitations with script are gone and thankfully are more creative but just as elegant and unique to the couple. With Morgan and Matt's invitation, I created an elegant look with a vintage touch. I wanted it to be timeless and romantic. Morgan chose a rectangular grey pocket fold and placed it inside a cream envelope for safer keeping. The inside featured the wedding invitation on the main panel with their overlapping double "M" monogram and a subtle "B" behind it. Their wedding date of September 10, 2011 is unique to be 9-10-11 so I anchored the design at the bottom with the date in the same pale pink of the border so that it blended in. I matched the grey ink to the pocket fold, which has a softer feel than black would. The pocket contained three cards: a long and skinny detailed directions card, an R.S.V.P. postcard of the same width and a a smaller Registry card. Each card fit together to create a pattern, yet were different when the guest pulled it out of the pocket. Congratulations, Morgan and Matt! I can't wait to celebrate with you in September! *Couple's photo courtesy of Starla Photography.